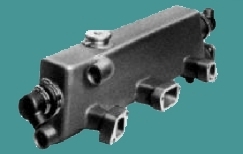 On Line Catalog-Exact Replacement Water Cooled Manifolds Listed by Price and OEM#. Sendure Heat Exchanger-Numerous heat exchangers, chillers, after/inter coolers and accessories. Perkins Manicooler-Perkins Range Four Manicooler Modular Replacement. 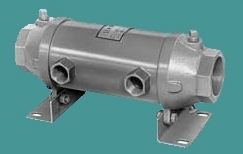 Bowman Heat Exchangers-Numerous manicoolers, multi coolers, manifolds, header tanks, heat exchangers and accessories. 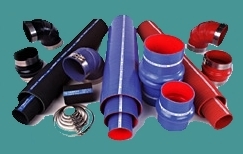 Adapters-Pipe to Hose adapters and etc.. Testing and Repair-Have a part in question. Ship it to us and we'll check it out. Product Inquires-Call, Fax, E-mail, or Snail mail us any inquiries. If you would like to know more, just ask. Pictures-pics of some of our projects-may take a day and a half to load unless you have a cable modem. Links-Want to trade links, e-mail us. Since Marine Exhaust cannot exercise any control over the installation and application of its products, under no circumstances will Marine Exhaust be liable for any incidental or consequential damages. One year limited warranty on any new product manufactured by Marine Exhaust. No warranty of any nature on repair of used product whether manufactured by Marine Exhaust or not. Marine Exhaust Systems of Alabama, Inc. Marine Exhaust warrants their manufactured product against defects in workmanship and material for one calendar year from date of shipment to the original buyer to the extent that Marine Exhaust will, at its option, replace or repair the product which in the judgment of Marine Exhaust has a defect, provided that the written notice of such defect is received by Marine Exhaust at the address above within one calendar year from the date of shipment to the original buyer. The product shall then be returned at the buyer expense to Marine Exhaust at the address above. 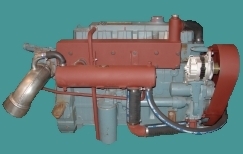 Marine Exhaust shall not be liable for any cost of removal or reinstallation, and this warranty shall not apply if the product has been misused, abused, altered, neglected, subject to electrolysis or galvanic action, improperly installed, or if repair work by anyone other than Marine Exhaust was performed. This warranty does not extend to Marine Exhaust products used in racing or military applications. The buyer's sole and exclusive remedy and the limit of Marine Exhaust's liability for any loss whatsoever, shall not exceed the purchase price paid by the buyer for the product to which the claim is made. Marine Exhaust reserves the right to improve its products through changes in design or materials without the obligation to incorporate such changes in products of prior manufacture and to make changes at any time in design or materials without obligation or liability to owners of products of prior manufacture. Except as set forth in this Marine Exhaust warranty policy statement as applying to products sold by Marine Exhaust, Marine Exhaust makes no warranty express or implied, with respect to the products, Including any warranty of merchantability or fitness for a particular purpose. 1. Definitions: As used in this document, the term "PRODUCTS" shall mean the item(s) offered for sale by MARINE EXHAUST SYSTEMS OF ALABAMA INC. as part of its regular business. The term "MARINE EXHAUST" shall mean "SELLER"; and the term "BUYER" shall mean the person or company purchasing products of MARINE EXHAUST. 2. Other Terms: These GENERAL TERMS AND CONDITIONS OF SALES and the MARINE EXHAUST WARRANTY POLICY STATEMENT contain all the terms that apply to any sale or offer to sell products. MARINE EXHAUST specifically objects to any additional terms contained in any document used by the BUYER. Any acceptance of products by BUYER of any part of the purchase price shall be deemed to be a waiver of any additional or different terms contained in BUYERS documents and an acceptance of these GENERAL TERMS AND CONDITIONS OF SALES unless specifically acknowledge by MARINE EXHAUST work order. 3. Price: Unless otherwise noted, all prices are in U.S. dollars, F.O.B. Fairhope, Alabama. No amount is included in any price for sales, use, privilege, excise or other taxes imposed on or measured by the gross receipts from the sale of product. BUYER shall promptly pay any such charges directly to the governmental authority assessing them or reimburse on demand any such charges paid by MARINE EXHAUST. All prices for products are subject to change without notice, prior sale and availability, on terms acceptable to MARINE EXHAUST. 4. In addition to the purchase price, BUYER agrees to pay MARINE EXHAUST any cost incurred as a result of: (A) changes in the products or delays in delivery requested by BUYER; (B) delays in delivery because the BUYER failed to provide requested information; (C) changes in the laws and rules or regulations that apply to the products after the date of quotation. 5. Payments: All payments shall be in U.S. dollars without offset, bank charge, retention or withholding of any kind. Unless otherwise agreed in writing, all invoices are immediately due and payable upon delivery of products. 6. Collections:Should it become necessary to place BUYERS account for collection, suit or other legal proceeding, the BUYER agrees to pay all cost and expenses of collection, suit or other legal action, including reasonable attorney's fee and, if necessary, appellate fee. 7. Shipment: Catalog prices do not include crating or shipping cost. Freight charges included in any price are subject to adjustment for actual cost incurred by MARINE EXHAUST. In the event products are shipped outside the continental limits of the United States, all expenses and fees relating to the export documentation, export packing, marking and importation into the country designated shall be the sole responsibility of the BUYER. 8. Payment Terms: Upon approval- NET30 days from invoice date. A time price differential of 1-1/2% per month will be charged on accounts more than thirty (30) days past due. The time price differential is an annual percentage of 18%. 9. 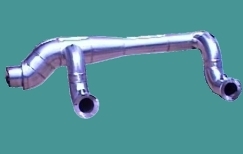 Delivery: Any delivery date are estimates only and are subject to change based on, but not limited to, production scheduling and availability of materials.. MARINE EXHAUST will make every effort to meet any promised delivery date, except as noted. 10. Delays: MARINE EXHAUST shall have no liability for any failure to deliver any products. 11. Changes: MARINE EXHAUST reserves the right to change the details of any products provided that such changes shall not impair the performance or critical dimensions of such products. MARINE EXHAUST shall have no liability for any change(s) requested by OWNER. 12. Acceptance: Products shall be inspected upon receipt. Failure of BUYER to notify MARINE EXHAUST of any defects within thirty days or to permit MARINE EXHAUST a reasonable opportunity to correct any defect shall constitute acceptance of the product. 13. Interpretation: BUYER agrees that any sale of or agreement to sell products will be deemed to be made and performed solely in Baldwin County, Alabama, to the exclusion of all other jurisdictions. Any sale of or agreement to sell products shall be interpreted according to the laws of the State of Alabama, except any provision thereof that would direct the application of the laws of another jurisdiction. 14. Limitation of liability: Neither MARINE EXHAUST nor BUYER shall have any liablility to the other for any incidental or consequential damage arising from the sale or use of any products or the failure of either party to fully perform any agreement to sell products. With respect to products not manufactured by MARINE EXHAUST, no representation or warranties of whatsoever nature, directly or indirectly, expressed or implied including but not limited to any representations or warranties with respect to suitablility, durability, fitness for a particular purpose or merchantability. Except to the extent that MARINE EXHAUST can enforce warranties provided by the manufacturers of such parts. 15. Waiver: TThe failure to enforce any provision of the GENERAL TERMS AND CONDITIONS OF SALES shall not be deemed a waiver of such provision. The waiver by either MARINE EXHAUST or BUYER of any breach under these GENERAL TERMS AND CONDITIONS OF SALES shall not be deemed to be a waiver of any subsequent breach of a like or different nature. 16. Warranty: Except as set forth in the MARINE EXHAUST WARRANTY POLICY STATEMENT, as applying to products sold by MARINE EXHAUST, MARINE EXHAUST MAKES NO WARRANTY. EXPRESS OR IMPLIED, WITH RESPECT TO THE PRODUCTS, INCLUDING ANY WARRANTY OF MERCHANTABILITY OR FITNESS FOR A PARTICULAR PURPOSE. "Given the original part or a detailed drawing We can quote you a price on almost any part. We build from only the best materials. For example, the inside liners in all of our risers are Inconel 625. 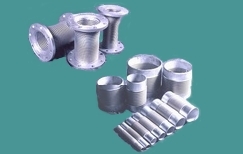 Inconel 625 is normally used in aerospace manufacturing and cryogenic applications, due to its strong resistance to sulfuric acid and corrosion. Inconel does not rust or corrode in any way under any circumstance and it's ability to withstand the formation of sulfuric acid. (When salt water combines with exhaust, sulfuric acid forms and eats a riser from inside out, while not damaging the outside jacket leaving the owner unaware of the internal leakage). 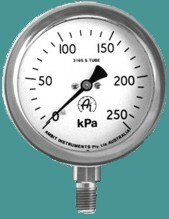 For the water jacket we use Stainless Steel 316L, the marine industry standard. If you have any question regarding the material we use or if you are interested in getting a quote, please give us a call." We have used numerous shippers in the past and as a result we have some that we really like to use as we know that they will pick up when they say they will and that we can depend on them to pick up the same day we call. If you specify someone out of the ordinary or someone who does not make daily pick ups or someone we are not familiar with please be aware that your parts may take a extra day or so to ship as we await pick up. That being said, we have used a variety of companies such as UPS, FedEX, DHL, Pilot, BAX, Kamino, Stevens, Quick, Emery/Menlo, US Mail, Saia, AAA Cooper, American/Fed Ex Freight, Estes, Central Freight, Central Transportation, Unishippers, Acme, Watkins, Gator (R&L), ABF, Con-Way, Overnite, Old Dominion, Averitt, Panalpina, Dockside Services, USF Holland, USF Dugan, Southeastern Freight, Service Transport, Wilson, Viking, JAS, Roadway, Reddaway (interlined) and Yellow that I can think of off hand. If you have an account with someone please let us know. If you would like to ship via some other company, let us know and we will see what we can do. We are diligent in our efforts to receive the best discounts and service possible. When you specify Bestway, be assured your parts will be shipped the very best way possible. If you need your part hot shotted we have a couple companies we can use for that also. If your part is approx. 70# or less and not too ackward it can be shipped via UPS. UPS picks up every day at 3:30 PM central standard. If we have your part in stock, the order would need to be placed before 1:30 PM central standard to ship it the day the order is placed. Below is a standard UPS ground transit time map from our location. 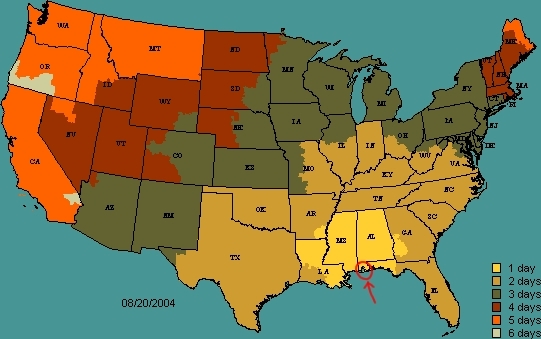 The shipping department did not want me to put this map online, as it may not always be accurate. Please keep this in mind and refer to this only as a reference of the usual/best guess transit times for UPS regular ground. If your part requires motor freight, it is more convenient for us to pick the trucking company. If you must use a specific truckline please be aware it may delay your shipment by one to two days as we schedule a pick up. 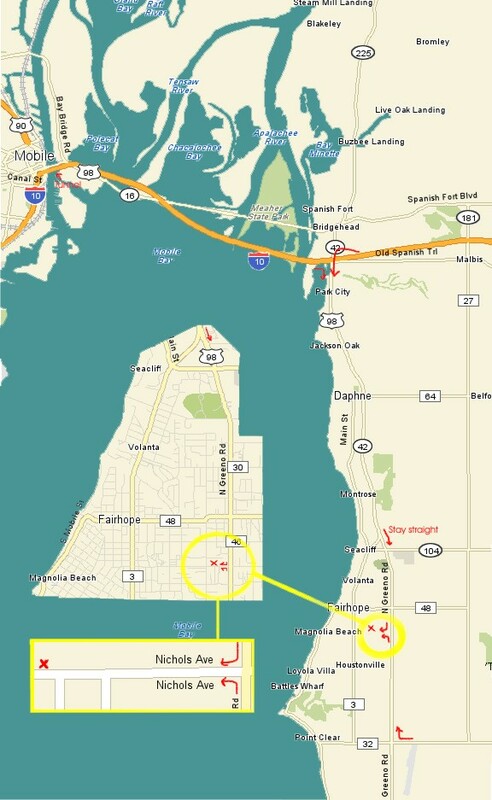 All shipping freight collect FOB Fairhope, AL 36532. If you would like shipping billed to a shipping company with whom you have terms, please supply your account number and we will do our part to arrange third party billing. Sales, Purchasing, Advertising, Marketing, R&D and Technical-Any questions on anything-give me a call. We have been in business for some twenty years plus. 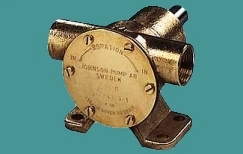 We manufacture a wide variety of components from marine manifolds to heat exchangers to custom components with nothing to do with the marine industry. Our company has worked with and for Caterpillar Engine Co., Cummins Engine Co., U.S. Navy, Army, Coast Guard, and many others too numerous to mention. We have a full time Mechanical Engineer on staff as well as twenty full time employees. We pride ourselves in our craftsmanship and ingenuity, so much so, that all of our products are backed by a one year warranty. Our Machine, Weld, Fabrication, Fitting, Bending, and CAD shops can build anything imaginable. In addition to all of our standard equipment we also have the following; CNC Plasma Shape Cutting System, Huthe Tube Bender and End Finisher, Hydraulic Sheet and Plate Shearers, 100 and 300 Ton Draw Presses, Complete Heat Treating System, and of course a complete CAD system. We would be glad to quote any of your fabrication needs and in the future please keep us in mind. Thank You. 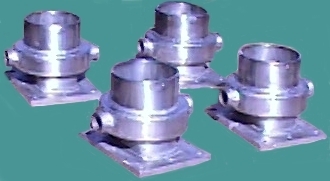 We are a Post Manufacturing Marinizer (PMM). Give us any engine and we can design a Keeled Cooled and Heat Exchanger Cooled Kit including Water Cooled Manifold, Expansion Tank, Heat Exchanger, Raw Water Pump, Fan Guard, Water Inlets, Water Outlets, Wet Exhaust Ell's, Wet and Dry Exhaust Risers, and etc... 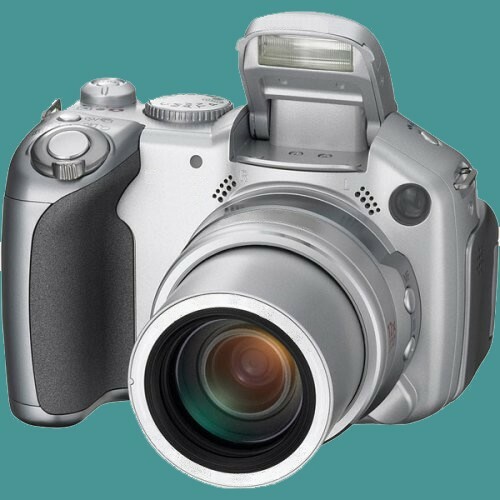 The design is then priced and you are quoted the prototyping cost as well as the purchase cost. If all cost are covered, you retain propriety over the design, i.e. when someone wants to buy the kit they can only buy it through you, and in turn you would purchase the kit through us at the initial quoted price. 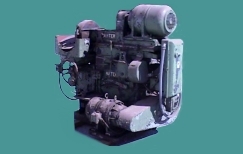 We have marinized engines for various companies, individuals, independent small businesses, and not mention propriety marinization kits and parts for the original engine manufacturers including Caterpillar, Cummins, Isotta Fraschini, Hercules, and Daewoo. We recently designed Marinization Kits for the International 530E/Series 40, John Deere 6081, Hercules LDT 465, Daewoo DC24, DB33 and DB58, Ford BSD 666T, the Detroit Series 60 11.1. We are currently in the process of obtaining a Perkins 6.354.4 range four engine in house in order to redesign the marinization kit. We have completed numerous kits in the past, if interested in marinizing an engine please give Mark a call. "We will need an engine for approximately two months." We handle Osco, Barr, and Many other replacement parts for Crusader, Indmar, Chrysler, Marine Power, Pleasurecraft, Volvo, OMC, Chris Craft, Chevy Big and Small Block, Ford Big and Small Block, Daytona, Detroit, Flagship, Graymarine, Interceptor, Lehman, Mercruiser, Pacer, Palmer, Perkins, Universal, Atomic, and Waukesha. Call or e-mail for model and prices. Please include all part numbers as that is how I have everything listed in my database. Usually found on the side of the manifold and riser. Heat Exchangers-Sized specifically for your engine. Mufflers-inline, side in/top out, and other models from 1 1/2" to 18" OD inlet and outlets. We can also Custom Fabricate almost anything imaginable. If you have an old part you want duplicated exactly, or if you have an off the wall idea that you want to bring to life, we can help you. We can also design what you need given your chosen specifications. We duplicate parts daily. If you have an outdated part, a part that is no longer cast, or a part that could be manufactured both faster and cheaper, please send the part to us and we will quote you a price. We recently redesigned the water cooled manifold on the Detroit 8.2. Our work is top quality and our prices are more than competitive. We believe since we use only the best material and, in my opinion, the best welders and welding practices, that there is no limit to what we can accomplish and no limit to the quality and durability of anything we manufacture. If you have a part that is suspect or has a known failure, send it in and we will quote you the expected repair cost once we find the failure. The most common failures to date are pinhole leaks in porous cast manifolds and leaking heat exchanger tubes. Both of these problems are usually easily repairable. Major repairs on cast are not that common, which is good, because these repairs are risky, a good chance that the cast piece will crack, but we don't mind trying. During the repair process, we will keep you up to date on all testing and other occurrences so that you will be well informed. We will also get your approval for all work before we start, we will estimate the cost of each stage as close as possible to eliminate any surprises. We will try to save you money and time throughout. We have all the patterns, drawings, and jigs for Kay Industries Parts. Sk, Ak, DT Risers, Mufflers, elbows, and collector risers for a multitude of engines. Call for quotes. 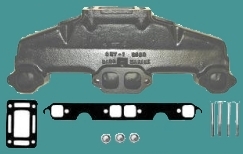 Part numbers usually take the form of SK-1000. We now have sources for all the patterns and drawings for Key Marine Parts. If you have an old part that has the Key Marine Logo on it, please give us a call. We can use their prints and build the unit using far superior material and in the process, hopefully save you some money, both long and short term. Please e-mail us any questions you might have regarding our multitude of products or the marine industry in general. If we can't help you, we probably know who can. We know if we help you get what you need, you'll keep us in mind in the future. Our reputation has been built on this idea, and we will go well out of our way to help you. If you're having trouble finding a replacement turbocharger or if you're looking for a new one, please let us know and we will be glad to source one for you. 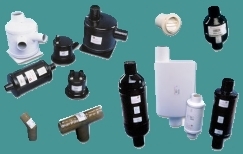 We have various suppliers around the world who can offer parts at a fraction of the OEM cost. Please e-mail your turbo make, model, and serial number to us along with the shipping address you would like the turbo's ship to and we will reply with the pricing as soon as possible Please indicate if it is possible to send your old unit as an exchange. And as always please contact us if you have any questions. "We at Marine Exhaust work as a team, al beit big but tight knit unit, more so than anywhere else. Our camaraderie as well as our professionalism allow us to operate and perform more proficiently than could ever be expected. No one, least of all me, could take credit for the entirety of the quality of service and product you receive. Satisfied customers contact me routinely with compliments which I in turn relay to all directly involved. Work-marine.exhaust@gmail.com I get a ton of substantive e-mails a day, please be patient. If you need a response quickly, please call. Home-Markyall@comcast.net I forward most of the office e-mail to my house so that I have time to answer. HR4872 Who is John Galt? I spend alot of time on this so let me know what you think, good or bad. Really!